Sheet Metal Structured Packings, Gujarat, India. 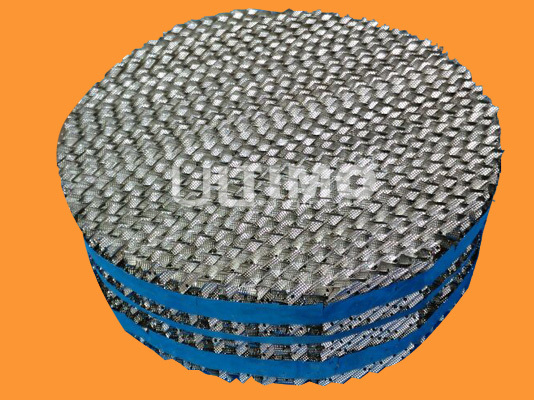 These are made from thin metal sheets formed to provide maximum surface area with higher void fraction and efficient surface characteristics. On account of high surface area per cubic meter, high NTSM and lower pressure drop across structured packings, column diameter is considerably reduced as compared to conventional types of random packings for the same application.